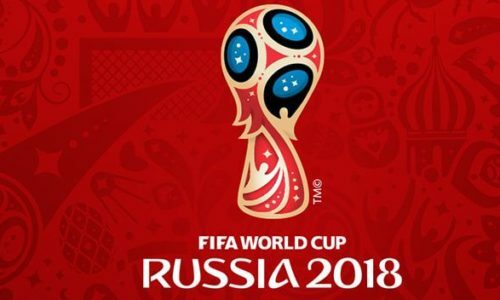 The FIFA 2018 World Cup has arrived! A month full of emotions is approaching and everyone will be watching each game their nation will play in. Even those who don’t participate in this edition, held in Russia, will be supporting their favourite team branded products. We want you to take advantage of this prestigious tournament with the bestWorld Cup gifts for football fans. For a company it is very important to have happy customers. A way to achieve this is with the manufacture and delivery of promotional products. This merchandising that your company delivers in points of sale or events must be chosen carefully, since they must be liked by your customers and must be reusable in order to maximise the publicity of your brand. For this reason, on this special time, what better theme in your promotional gifts than the World Cup, since the whole planet will be following this event closely. We will show you now some promotional products that you can offer your customers and bring benefits for your company. All of us will at some point need a bag to carry our things. Either when we go to the supermarket or any other object that is too heavy or too big for our hands. This shows the usefulness and importance of this object which makes it an ideal gift item. Get your personalised tote bags with the colours of the different selections and you will make people reuse your personalised bags with your brand. There is no more relevant product in this great sport than a personalised shirt. With our custom t-shirts you can inspire yourself and live this exciting tournament even more. Customise your football shirt with your name, with an image that inspires you or simply with the logo of your company. The World Cup is approaching very fast and you do not want to miss the chance to cheer on your team without wearing your national colours. Every day that passes the world is more and more connected. This makes us be connected through an electronic device over time. In most cases the electronic device that keeps us online is the mobile phone. But nowadays it is difficult to stay connected all day because of the batteries of these. For this reason, a PowerBank is a useful and important element for all people. With our personalised Powerbanks we will feel the freedom and security of being connected at all times. This item can be personalised with your logo or the colours of the different selections. But you can also offer PowerBanks in the form of shirts that are even more inspiring for this sport and for the time we are about to live. The choice is yours! Another product that is always useful is a keychain. We all have to carry a bunch of keys and we do not want to risk losing them. In general, we should all carry our apartment or house keys, but there are also people who carry the key of their car or motorcycle, garage, office and many other things. So we all need a keychain to make sure our keys are secure. This is the perfect article and the perfect opportunity to offer it as an advertising gift. Take advantage of the moment and give your customers some keychains that will reflect their nation and through this way you would win free advertising. Apart from these products we have many more products that football fan will love. You can contact us at the 0207 101 9315 or through our Quick Quote. Contact us and a member of our team will assist you in all your needs.